← The Question Is, What Are We Witnessing? 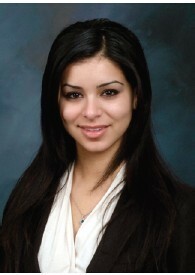 News that Rima Fakih, 24, of Dearborn, Michigan, won the Miss USA beauty pageant today prompts me to recall some prior instances of Muslim women winning beauty contests in Western countries. Juliette Boubaaya, 19, was Mlle Picardie in 2009. 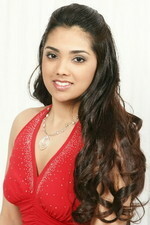 Nora Ali was America’s Junior Miss in 2007. Hammasa Kohistani, 19, was Miss England in 2006. Sarah Mendly, 23, was Miss Nottingham in 2005. They are all attractive, but this surprising frequency of Muslims winning beauty pageants makes me suspect an odd form of affirmative action. [O]n a more serious level, affirmative action appears to play a role in some of the Nobel Prizes. No surprise here. Affirmative action was first applied in beauty contests for black women to win in the 1980s, then it was the turn of Latin, brown skinned women, and now it’s Muslims. That’s why most people ignore these rigged “events.” They are money losers and require controversy. This comes not from a penny ante blogger but from a former State Department staffer, former member of the United States Institute of Peace (holding a recess appointment after being filibustered by Democrats), and former adviser to Rudy Giuliani’s presidential campaign. Just wow. In other words, a prominent conservative “thinker” is not only bothered by the winner of the Miss USA pageant, but he cares enough about the matter to “recall” similar instances — as if he actually keeps track of such things. She may not be the smartest thing on two legs, but she is not supposed to be an intellectual. Think of the intellectuals you know or have read, and ask yourself if you want any of them to be your Miss USA. Miss USA is supposed to be heart-stoppingly beautiful, and that is all; that Fakih certainly is. Moreover, she is a testament to the fast-fading notion that in America, every avenue of opportunity is wide-open for every sort of person with a dream. Some are declaring that Fakih won the contest because of politics, because the judges disliked another contestant’s answer on the recent Arizona immigration statutes. I suppose that’s possible. It is also possible that the judges simply thought Fakih more naturally, and exotically beautiful than the rather over-produced-unto-softporn-looking Morgan Elizabeth Woolard, whose answer to the question, it must be said, seemed to strive for something like balance. Donald Trump, who owns the pageant, is likely not bothered by these political questions; there is no such thing as bad publicity, after all, but the superficiality of the event itself, and its time constraints, only serve to cheapen questions that are deserving of weighty consideration. These crash-test Q & A’s only speed up America’s devolution into the “I hate this; I love that and I can’t tell you why” factions that are weakening public discourse and further balkanizing a nation already under heavy strain. To those who are already half-crazed with paranoia and beholden to complicated conspiracy theories, this stuff is manna. But not the heavenly kind. I am not sure how a beautiful Muslim woman strutting before millions in a bikini (or tripping in a low-cut evening gown) is going to somehow please those religious fundamentalists devoted to hijab. Rather than accuse Rima Fakih of serving Shari’a, perhaps we should be worried that she will be marked for destruction by those who would kill a daughter for the dishonorable action of having been raped. Or, who knows, perhaps Miss Fakih’s victory will help Muslims feel more mainstreamed, and less marginalized in a way that helps them identify with America. Wouldn’t that be a kick? If the most superficial of events, a beauty pageant, brings diplomatic progress? Who needs “smart” diplomacy? Bring on the pretty girls! She’s in America. She’s doing what beautiful American girls do. She’s acting Western. In an Islamic country, she’d likely be hung, beheaded, tortured or “honor” killed for shaming her uptight, sexually repressed, backward, stone age husband or father. So while I get that people are upset about this, I suggest taking the big picture here. We have a young Muslim woman, without a burqa, who won Miss USA. Let the Islamofascists put that in their pipe and smoke it. Michelle Malkin is savvy enough to mostly cloak her freak-out behind horror over Fakih’s politics (although she can’t resist a dig at those “identity politics” people), while other conservative bloggers just go ahead and call her a terrorist. Professional Islamophobe Daniel Pipes combs the internet for other instances in which Muslim women have won beauty contests, and concludes there’s some kind of “an odd form of affirmative action” going on. Because how could anyone choose a Muslim over a “real American” in a beauty contest? I’m not really a fan of beauty contests, but the tone and substance of the fever swamp’s reaction to an Arab-American winning a beauty contest is at least useful for pointing out how some people’s political opinions aren’t based so much in questions of policy as anti-Muslim animosity. The level of anger is just so plainly disproportionate to the matter at hand as to be self-implicating. These people aren’t worried about terrorism — they’re offended by the idea of Muslims being integrated into the most mundane and banal aspects of American society. Ultimately, we are talking here about the silliness that is beauty pageantry, make even more silly by the fact that it is run by Donald Trump.